For example, let’s say at your last checkup, Dr. Sevey and Dr. Sigwart noticed your gums bled more than usual and have started to recede. These are early warning signs of gingivitis and gum disease. But why now? Your gums have been healthy your whole life. After a brief discussion, we rule out any dietary, hygiene or lifestyle changes. But you are taking a new medication – a medication that is known to cause dry mouth, a common risk factor for gum disease. Aha! And there we have it. Oral pathology has done it again! 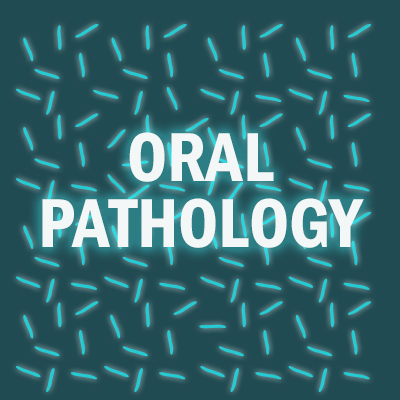 Oral pathology takes into consideration your personal health background to consider what existing medical conditions might be affecting you specifically. This is why it’s a great idea to have a good relationship with your Bangor dentist, that includes sharing any and all health problems and medications – even if you think they don’t have anything to do with your mouth. Your oral health and your overall health go hand-in-hand! Tooth Loss: Many oral diseases can cause tooth loss. Your Bangor dentist can treat the problem and also talk with you about tooth replacement options. If you’re experiencing any oral health problems and are wondering why, we would love to help you find answers. Contact Creative Dental Solutions today to make an appointment if you have any concerns about your oral health!